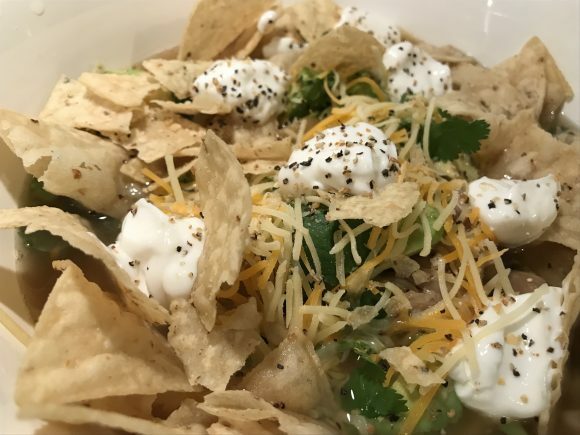 We usually make this on a Monday night and eat it between us for 3 nights. 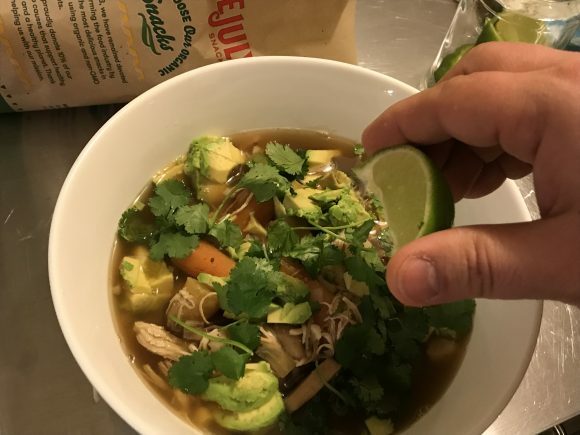 It really makes things easy on a weeknight when you are tired and don’t feel like getting too deep into making dinners every day. 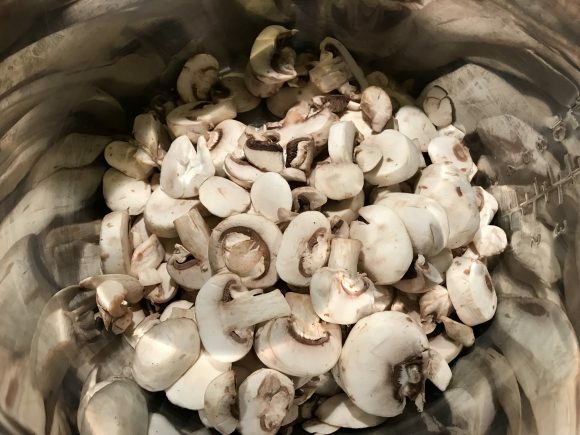 Dump mushrooms in the pot. 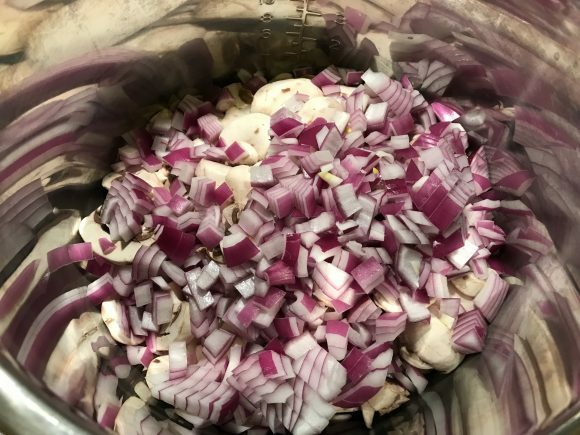 Chop up red onion and dump in the pot. 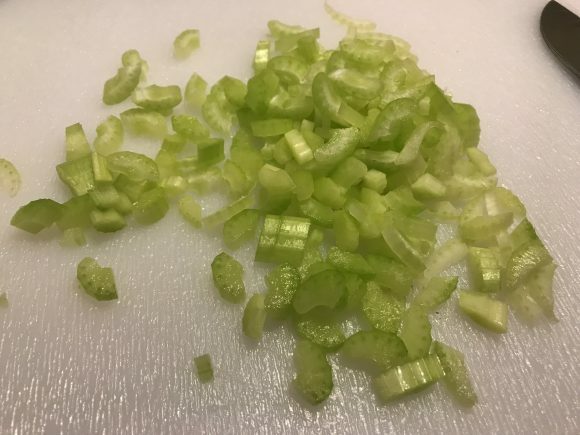 Chop up celery and dump in the pot. 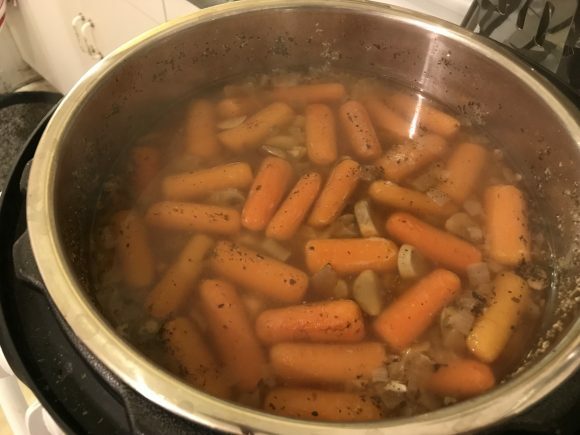 Dump pack of carrots in the pot. 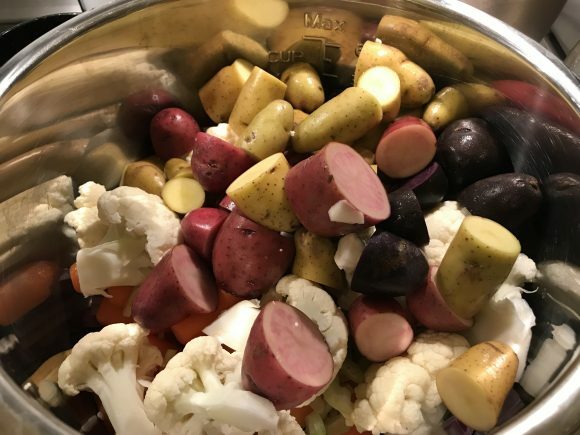 Chop up potatoes into a few pieces each, or whole, and toss into the pot. 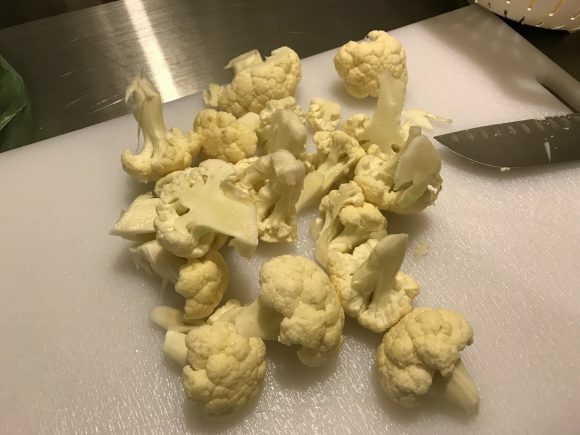 Rinse and chop up the cauliflower and toss into the pot. Squeeze the juice of one lemon into the pot, discard rest of lemon. 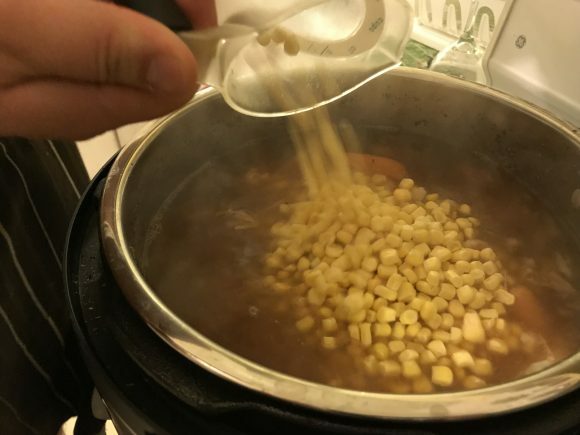 Chop or press all of the garlic into the pot. Season with Oregano, Basil and Pepper. Stir all ingredients to get them coated with seasonings. 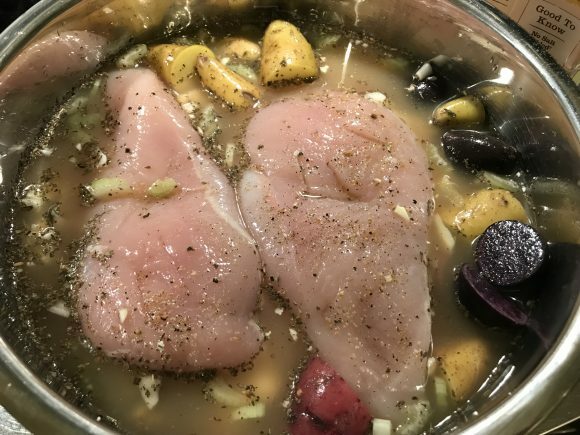 Add the chicken breast to the top. 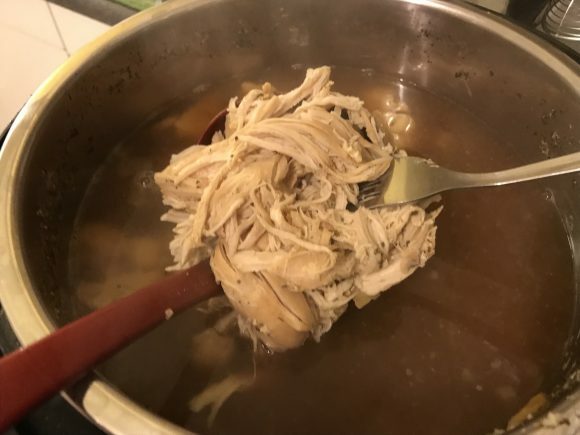 Pour in 8 cups of Chicken Broth, but don’t overfill your pot. You really just want to make sure the chicken is covered. 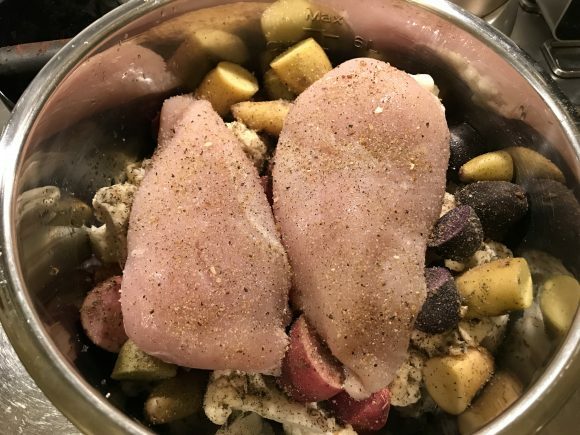 Add some additional seasonings on top with the chicken. Close the lid and set the vent to the sealing setting. 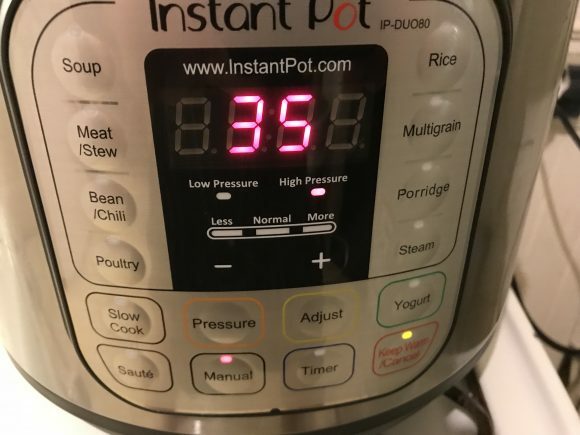 Choose manual high pressure and set to 35 minutes. 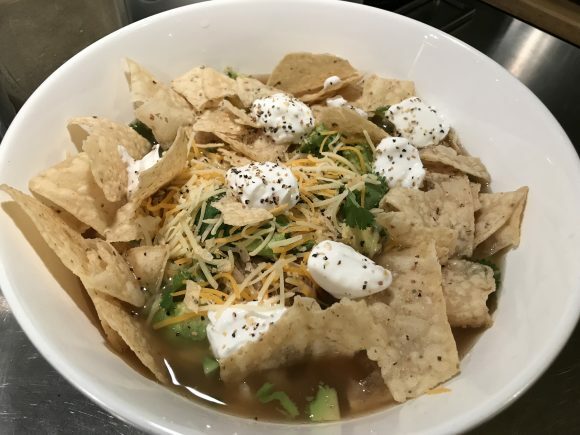 Sometimes we’ve had No Pressure happen when we do these very full soups. If you get that, just hit manual again and shorten the time. I’ve chosen 20 after it did that and things were great. When complete I like to lay a wash cloth through the handle and over the vent and do a fast pressure release. 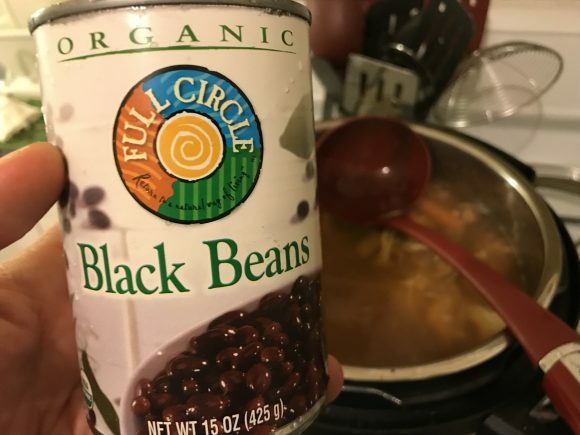 After you open it carefully, stir in the corn and the can of beans. Then take two forks and shred the chicken meat. 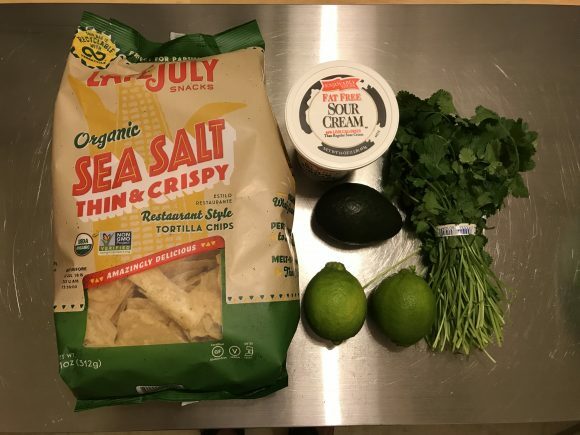 Serve in bowl and top with cubed avocado, cheese, chips and some sour cream. 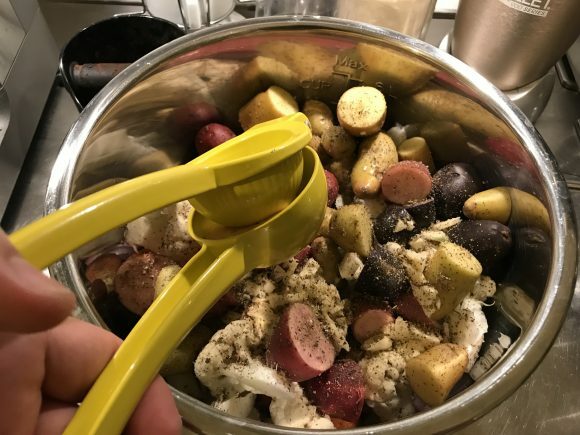 We also add some lemon pepper for a nice zest kick. Feel free to make it your own and add little twists.